I would highly recommend FAB Driving School when learning to drive. 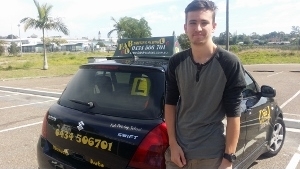 My instructor was is a brilliant driving instructor who is extremely friendly and makes you feel very comfortable. He helped me build up my confidence and is very patient no matter how long it takes you to get things. He is the best driving instructor and I would definitely recommend him to anyone! !